Finally they are here - New from Fostech these are the highly anticipated ultra-light proprietary magnesium alloy from Fostech Arms. 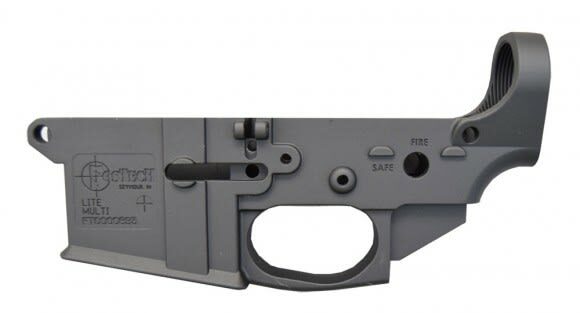 Fostech's AR15 lower receiver is 35% lighter than standard lowers on the market today while also being one of the strongest and most rugged lowers in the market. Not satisfied with being just the lightest lower on the market Fostech has reinforced key areas of the receiver including the front pivot pin location and the trigger and hammer pin area making these tougher than nails. Longer trigger pin set included. 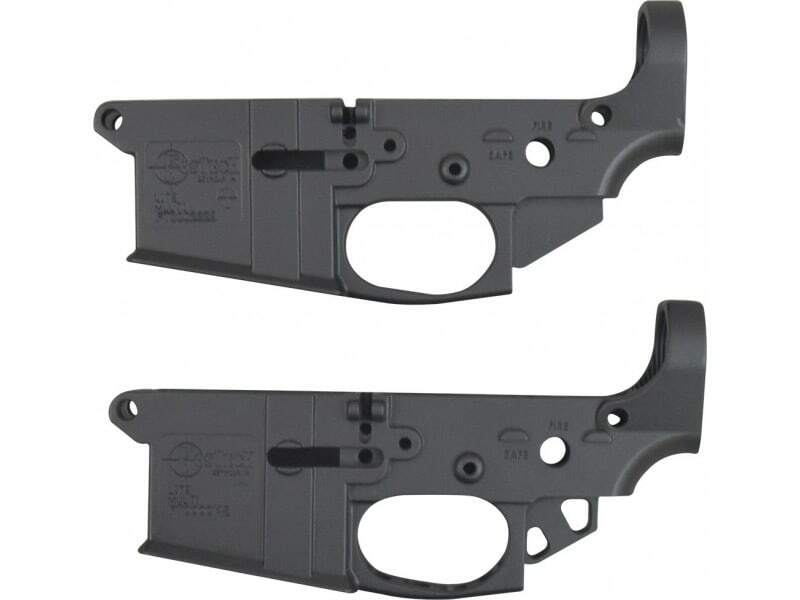 Premium Grade, Ulta Light Weight AR-15 Lower. Fighter Lite Serie's. Limited Lifetime Warranty. Note - These were described to us by Fostech as a production run with minor finish blemishes but we have looked at them 10 ways from Sunday and honestly we just can't see it. They look great to me. See Brutus Description below for more details. I first came aware of Fostech when I met them at a trade show in late 2016. At that time they had just purchased a company called Mag Tactical and they were closing out all of the old Mag-Tac branded product and transitioning to their own Fostech branded product line. I was immediately impressed with both the people and the product. After meeting and ultimately building a relationship with the owners of Fostech it became very clear that this was a company that would never settle for a less than premium product. 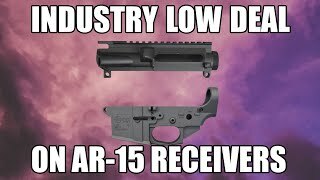 Their attention to quality was very apparent and their goal was to a very light weight, extremely strong AR-15 receiver to the marketplace at an affordable price point. The Mag Tactical receiver was the jumping off point, but the Fostech is the perfected culmination of years of research and production. These are so light it's hard to believe. 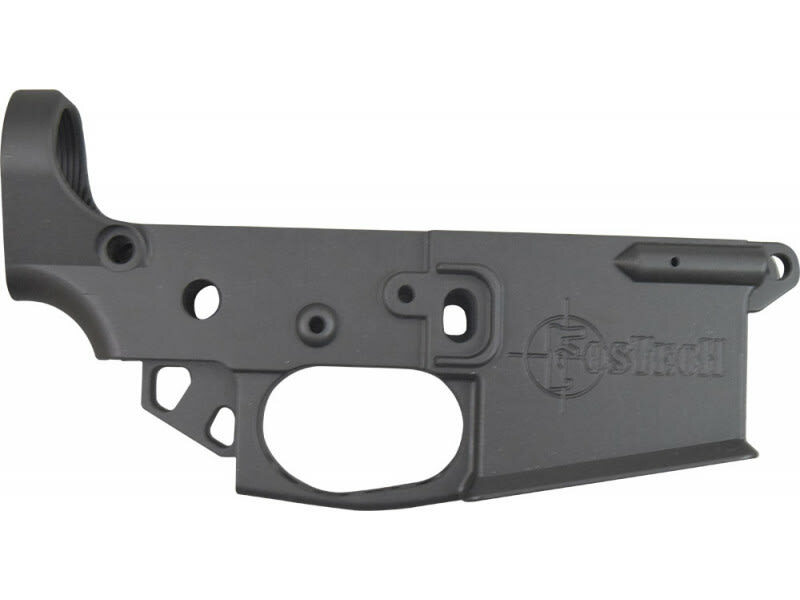 This extremely-light proprietary magnesium alloy from Fostech has their AR15 lower receiver being 35% lighter than standard lowers on the market today. Not just looking to be the lightest on the market, Fostech has reinforced key areas of the receiver including the front pivot pin location and the trigger and hammer pin area as well as making improvements to the original MagTech production process, design and finish. The result is not only a very lightweight but ultimately strong and affordable lower which is unmatched in quality and performance by any AR receiver on the market today. Due to the proprietary design of these receivers and the reinfocement area's at the pin location these receivers utilize a slightly longer trigger pin than most receivers and the longer pin set is included with the receiver. Note - This particular lot was described to us by Fostech as aproduction run with minor finish blemishes and as such we got them at a great price and we are passing the savings on to you.... but I have looked at them 10 ways from Sunday and honestly I just can't see the blemish. They look great to me. The owner of Fostech is such a perfectionist that he has a very critical eye and he will not let anything slide by so obviously he saw something in at least a few of this run that didn't meet his high standard of perfection but I have looked at dozens and I continue to scratch my head as to what the issue is. Maybe it's the shade of the finish but I think they all look great. Each is clam shell packaged for retail sales and maximum protection. We carry and sell ton's of receivers but as a premium receiver goes this one is my choice hands down. Add to that the extreme light weight and incredible strength that these possess and you will have a receiver that is second to none. If you liked the Mag Tactical's... and everyone seemed to, you will love these. Fostech is calling these their Fostech Fighter Lite series because they are Light Weight, Fighter Tough, and Battle Ready. 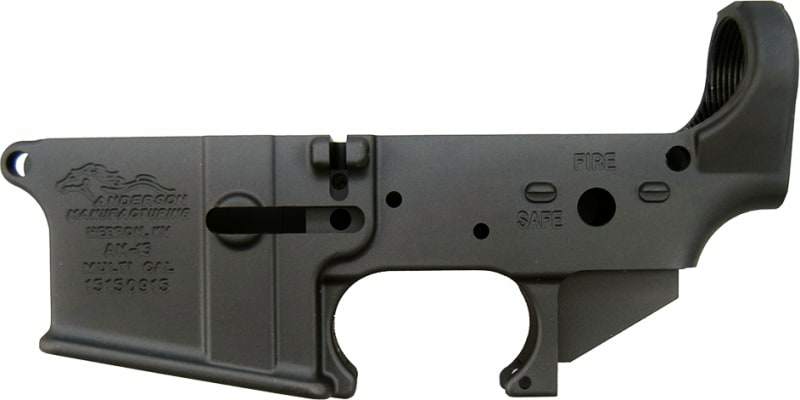 All Fostech Lower Receivers carry a Limited Lifetime Warranty. With the blessings of Fostech we are rolling these out at a fantastic price point. MSRP is much higher. Take advantage of this great deal now. Add a matching Stripped Upper at a great price here. 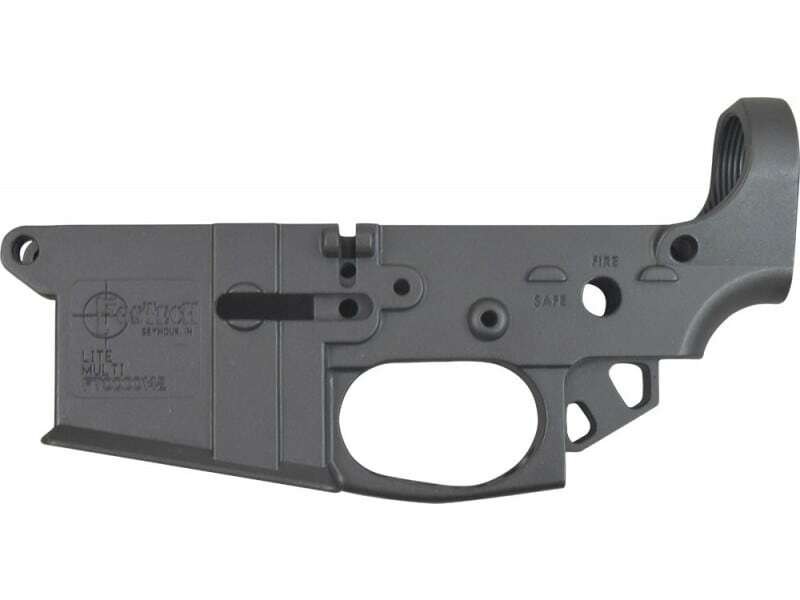 Fostech Lite Stripped Lower Receiver - Ultra-Lightweight Magnesium Stripped AR-15 Lower Receiver - Premium Grade - Fighter Lite - Minor Finish Blem's.